We are often asked how you can add an item to your profiles and add a name to the items when you hover over them. I have made an awards system using this. Great news is We now have a code that is easy to use and understand With thanks to @Walt From the French support forum. This comes in 3 easy steps. Create a new profile filed. Title * : Profile Awards. The only way to give a title to each item is to find it with the URL of the image. 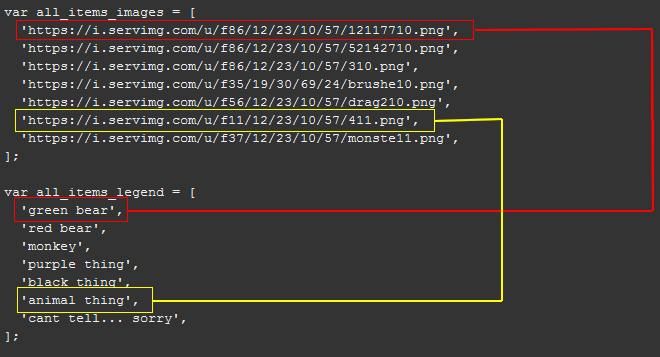 That's why we have to list in the variable all_items_images all the images available in this profile zone. I already put in this variable all the items that were in your profile, but if there are others, you will have to add it. In order to give a title to each item, we have the variable all_items_legend, and each line is the legend of the equivalent image in the all_items_images variable. Go to your members profile you want to add a Award to and add one of the following codes found in the list below. I have made 6 for you but you can make your own if you wish.  Note: You will have to add this (Manually) to each member (sadly This system does not have a auto fill setting) Then Save. This should work in all forums unless you have made a lot of change to your Templates. I hope you like this little cool setting. If you have any problems Please feel free to make a thread in the main forum linking me to this thread and tagging me. This tutorial was written by APE. Code Written By @Walt From The French Forum With Thanks.